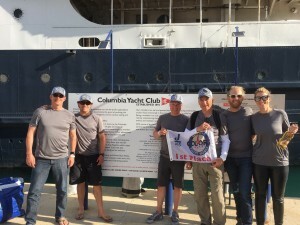 St. Francis J/105 skipper Bruce Stone journeyed to Chicago this past weekend for the season opening Colors Regatta hosted by Columbia YC and crushed the competition with a perfect five bullets in five races on the chartered J/105 Gryphon #29 with owner Sam Powers on board at pit. The SF-based team is using the Colors and next weekend’s Chicago NOOD as a warm-up for the J/105 North Americans in Harbor Springs in July. Stone’s team photo is from left to right: David Kelly, Ryan Simmons, Sam Powers, Bruce Stone, Philipp Berner, and Aliki Navajas. Clark Pellett’s Sealark #349 finished second with 12 points, and Jon Weglarz’s The Asylum #673 finished third with 14 points. Full results at:https://www.yachtscoring.com/event_results_cumulative.cfm?eID=4699. 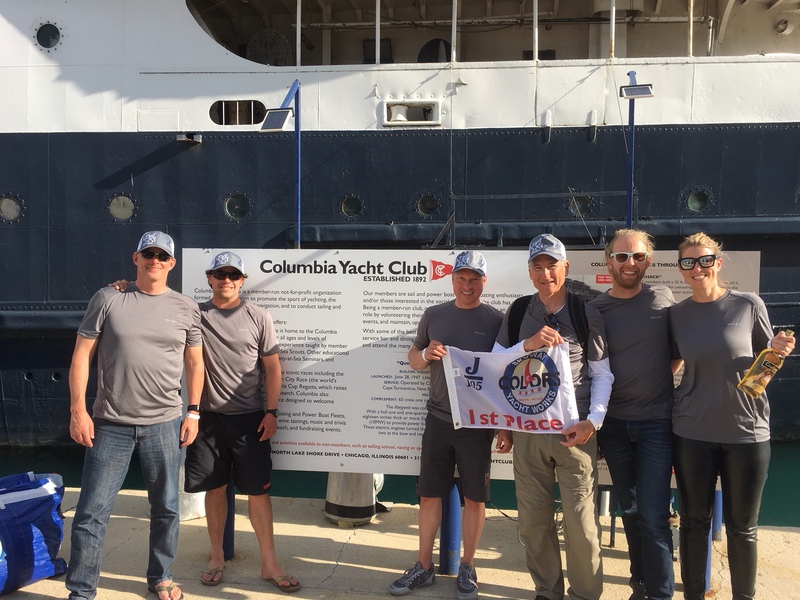 Additionally, in the Singlehanded (GLSS) division, Mark Gannon's J/105 Gangbusters took the win.